Here at Where’s Wildlife in Ayrshire we are beginning to think that the project is cursed, as every training event we run, it seems to rain! However, the somewhat chilly temperatures and wind did not stop us exploring the shores of Kilbirnie Loch in North Ayrshire. The morning classroom session was held by Aisling Gribbin, the Where’s Wildlife in Ayrshire project officer. 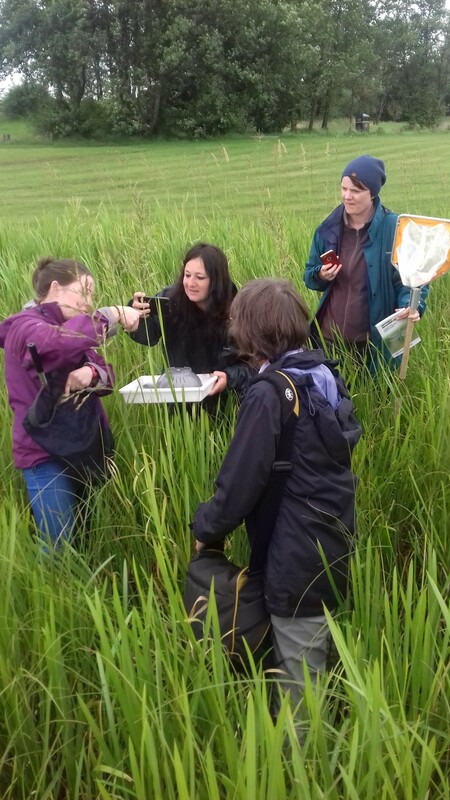 Aisling took the group through all the dragonflies and damselflies found in Ayrshire and the key features which can be used to identify them. We then headed up to the shores of Kilbirnie Loch where sheltered pockets of submerged vegetation provided good dragonfly habitat. Again, due to the weather and the strong breeze, finding adults on the wing was quite difficult. 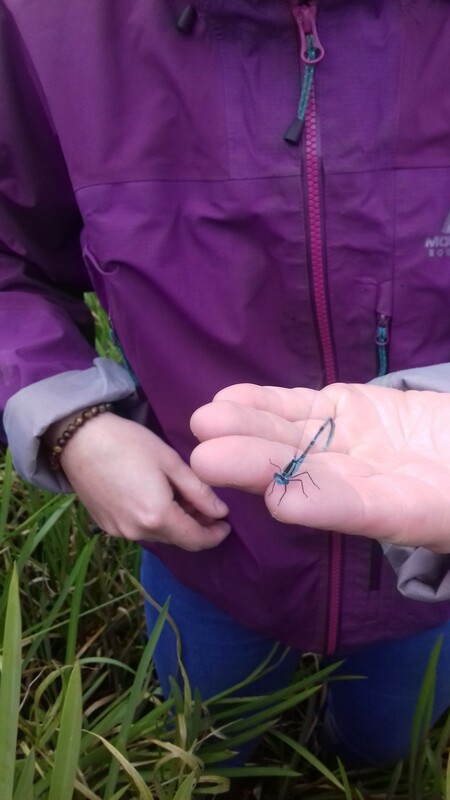 However, within some long vegetation we managed to find the Common Blue damselfly and the Blue-tailed damselfly. 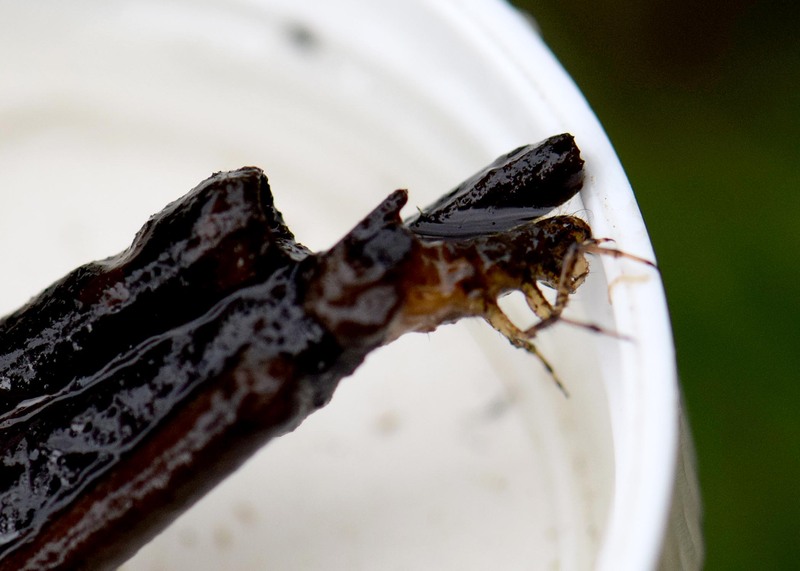 Pond dipping did not give us any dragonfly larvae, but a Caddis fly larvae that fooled us all into thinking it was some pond debris. Thanks to the keen eye of Lindsay, we spotted some movement, and sure enough, a little head poked out from what looked like some dead wood.